This is the authoritative guide to travelling and working your way around the world. It is packed with first-hand information and tips from people who have worked their way around the world using this guide already. 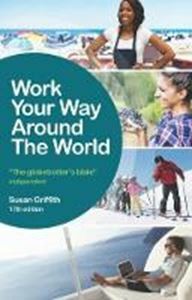 With essential information for anyone working while they travel, from potential job opportunities to background information on culture and lifestyle in each country, plus all the vital advice covering work permits, visas, safety and medical information.